English novelist and playwright Raymond “Ray” Rigby was born in Rochford, England, in 1916 and died in Guadalajara aged 78 on 19 May 1995. In 1972, Rigby turned his back on a successful Hollywood career to move to Mexico. He lived initially in Jocotepec and for a short time in San Antonio Tlayacapan. He married María Cristina Quintero in Guadalajara in 1975. The couple lived in Jocotepec for several years before moving to the outskirts of Guadalajara in about 1980. Rigby, who claimed to be a descendant of Saint John Rigby, one of 40 English martyrs canonized in 1970, had a troubled early life, doted on by his mother but abandoned by his father. It led to him finding it a challenge to form lasting partnerships, as evidenced by his five marriages, the last of which was by far the most successful. Rigby had five daughters, all born prior to his move to Mexico. During the second world war, Rigby served as a private with the British Eighth Army in North Africa, but got into trouble due to various nefarious activities, and spent two spells in British field punishment centers. His experiences there would later form the basis for his award-winning novel The Hill, which he later turned into the famous anti-war movie of that name starring Sean Connery. Rigby’s writing career began in 1948, when he began to write for television series, documentaries, radio and theatre. His greatest success came in the 1950s and 1960s, when he was employed as a screenwriter by MGM, 7 Arts, Warner Brothers, David Wolper Productions, Nat Cohen, 20th Century Fox, John Kohn Productions and Associated British Productions. The screenplays and adaptations for numerous TV series and movies that Rigby worked on included: The End Begins (1956); Shut Out the Night (1958); Armchair Mystery Theatre (1960); The Avengers (1961); The Night of the Apes (1961); Operation Crossbow (1965) and his own masterpiece, The Hill (1965). 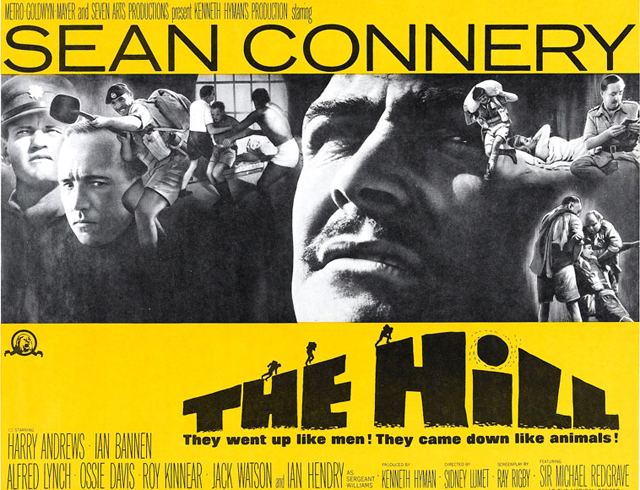 The Hill won the 1966 BAFTA Film Award for Best British Screenplay, the 1965 Best Screenplay at the Cannes Film Festival, and the 1966 Writers’ Guild of Great Britain Award for the Best British Dramatic Screenplay. It was translated into 13 languages and enjoyed a resurgence of interest following the break-up of the former Soviet Union. 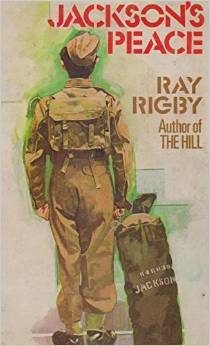 Rigby’s novels, several of which are largely autobiographical, were The Hill (1965); Where Have All The Soldiers Gone? (1966); Jackson’s War (1967); Jackson’s Peace (1974); Jackson’s England (1979); and Hill Of Sand (1981) (written as a sequel to The Hill). As can be seen from their publication dates, several of these novels were completed after Rigby moved to Mexico. Rigby was always positive and cheerful and led a very disciplined life. He would “exercise” by walking round and round the small patio of his home on the outskirts of Guadalajara every morning for at least an hour, a habit possibly instilled during his spells in detention. He also had specific times set aside for writing and for socializing. He loved cooking and would watch and re-watch classic old Mexican movies. At the same time, he was one of the most gracious hosts imaginable, with a never-ending treasure chest of amazing experiences and stories. I first met him in about 1987 and we quickly became good friends. Indeed, it was Rigby who urged me to start writing and who provided moral support during my first struggling attempts, provided I visited him at a time when he wasn’t exercising or writing. Rigby was a born raconteur, with keen street-smarts and a ready wit. Author Alex Grattan was not exaggerating when he described Ray in a memorial piece as a “world class wit and a fabulous story teller”. While living in Jocotepec, Rigby had numerous run-ins with the local postmaster who was apparently accustomed at that time to check all incoming mail personally for any cash or valuables. In 1973, Rigby and Wendell Phillips of Ajijic sold their joint script Ringer, written at Lakeside, to Universal Studios for a 90-minute pilot TV film. The two authors traveled to Hollywood to make the sale. This is almost certainly the last direct contact Rigby had with Hollywood. 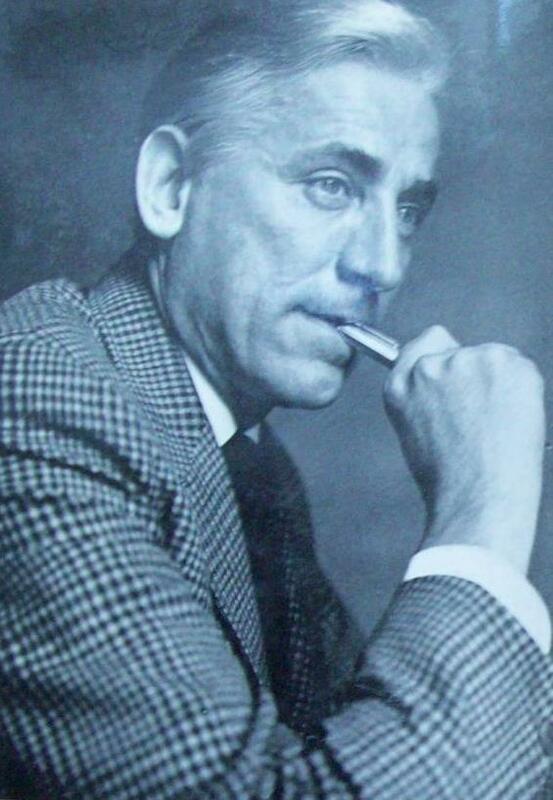 Ray Rigby died in Guadalajara in 1995; his papers are in the Howard Gotlieb Archival Research Center at Boston University. This post was first published in April 2015 and was revised in 2018. I owe a massive personal debt to Ray for having encouraged me to begin writing non-fiction articles about Mexico. Without his initial enthusiasm, none of my books (or this series of posts about artists and writers associated with Lake Chapala) would ever have seen the light of day. Guadalajara Reporter, 16 Dec 1978, 23. Sombrero Books welcomes comments, corrections or additional material related to any of the writers and artists featured in our series of mini-bios. Please use the comments feature at the bottom of individual posts, or email us. Great story teller – both in print and face to face. Does anyone have any idea about the play which is credited in the film? If it’s still in print, it’s production history …etc. I can’t seem to find any evidence of it on line. What information about “the play” is given in the credits? Thanks, Andy, for your comments. I don’t know the answer to your question and neither do I know for sure if the material in Ray Rigby’s papers in the Howard Gotlieb Archival Research Center at Boston University include such information, but you may wish to contact them to check. If you do find out more about Ray Rigby in the course of your research, please do let us know. Sorry, but I don’t have that information. Swedish-American visual artist Carlo Wahlbeck worked at Lake Chapala in the mid-1970s Art mystery: Which photographer signed their work like this?